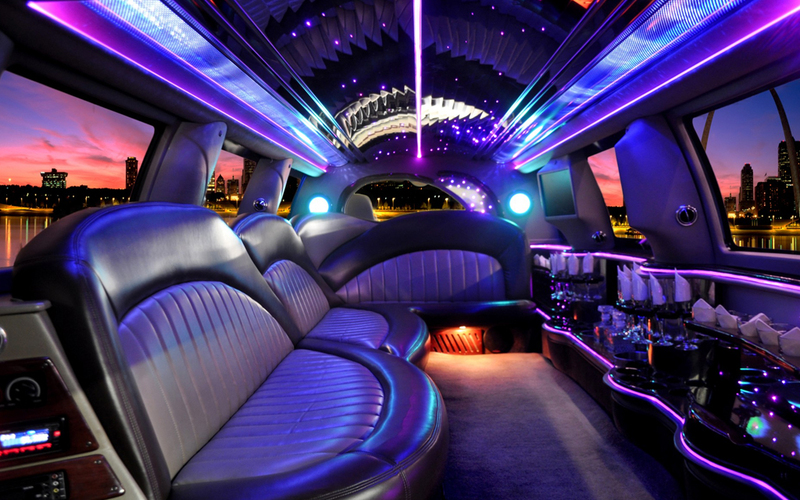 Where are some cool places to go in a limo or party bus? Ambassador Limo and Party Bus frequent New Jersey, New York, Philly and surrounding towns and The Pocono’s. Our reservationist and chauffeurs have knowledge to the common stops in these areas. Feel free to ask. Check out some cool places to go! Round trip – Pricing for a pick-up and drop with a return not counting the time between reservations. Hourly – Hourly as directed. Below are a few examples of minimum hours either by vehicle or venue type. Wedding Transportation – Weddings have a 3 hour minimum. 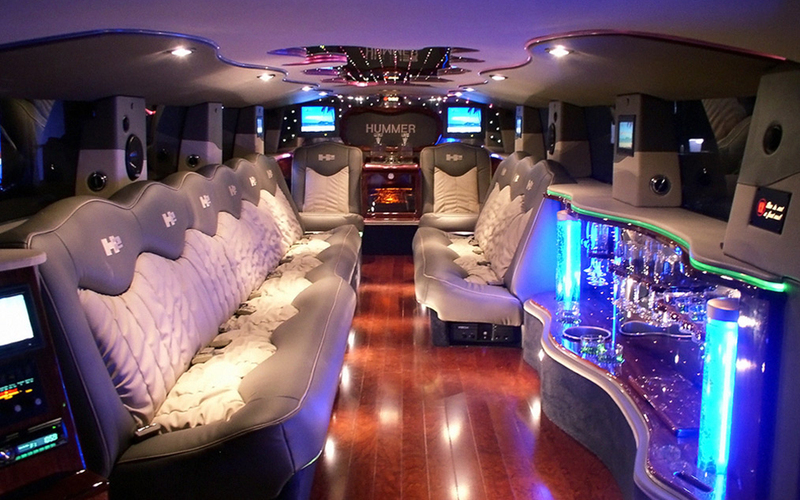 Prom Limos – Prom packages go for 6, 8, or 10 hours. *New Year’s Eve 8 hour min on Party Buses. 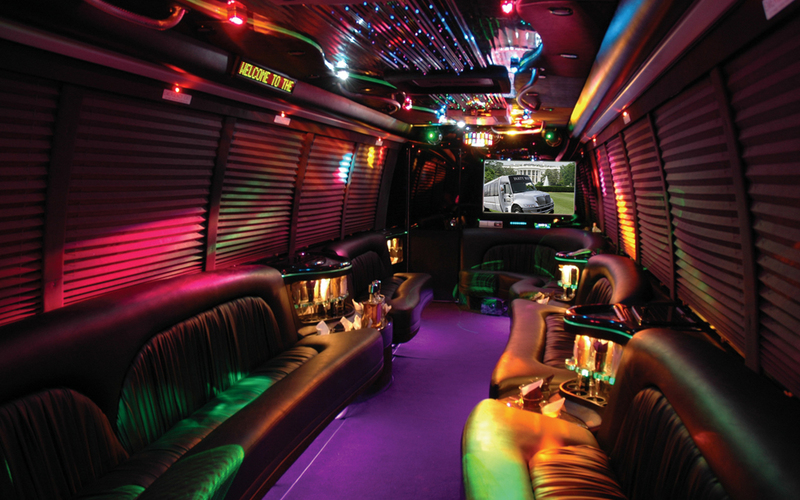 Party Buses on the most part are based on an hourly service with a four to five hour minimums. How many people per limo/bus? Ambassador Limo & Party Bus’s fleet can service from 1 passenger to 40. We don’t recommend allowing more than the recommended maximum number of people so that max comfort and fun will be maintained. Be sure to pay attention to the size of your group, and plan accordingly so you’ll have ample space to enjoy. What are my liabilities as a customer? Any cost of damages that may be incurred during the transport process or during your party will be your responsibility. We like our vehicles to be brought back to us in the same shape that they arrived in, and we hope you’ll understand. The most common damage charges are smoking, seat damage, and clean up after a passenger has gotten ill. Ambassador Limo and Party Bus takes good care of our buses and do not allow smoking inside our buses. However, we also respecting the smokers and the driver will stop if asked for a “Smoke Break”. Do you offer free food and drinks inside your bus? No. However, Ambassador Limo & Party Bus does supply ice, cups, and bottled water. Although most companies do not allow food we do allow minimal finger food. Just note that food takes space when reserving it is important to keep in mind.